As promised, I've finally taken some time to chill out and read a few books! 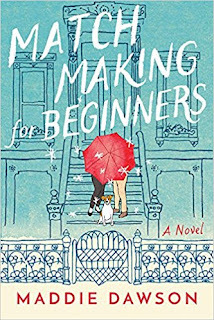 And I've missed getting together with my friend Liz from BooksIThinkYouShouldRead, so nothing has been reviewed elsewhere (by me, I mean...). Since I had a few books to choose from (most of them being Amazon Prime First Read books from months past), I'm going to present them in the order I liked them, saving my favorite for last. 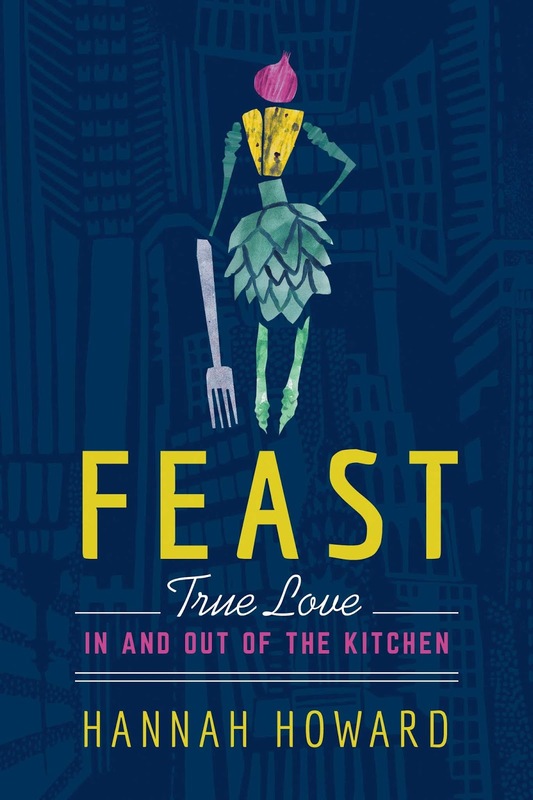 From Amazon: "The compulsively readable memoir of a woman at war—with herself, with her body, and with food—while working her way through the underbelly of New York City’s glamorous culinary scene. Hannah is hiding an eating disorder. The excruciatingly late nights, demanding chefs, bad boyfriends, and destructive obsessions have left a void inside her that she can’t fill. 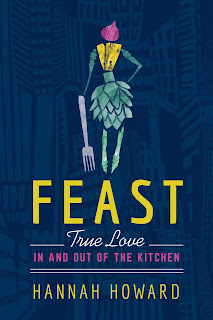 To reconcile her relationships with the food she worships and a body she struggles to accept, Hannah’s going to have to learn to nourish her soul." My two cents: 'Compulsively readable'? No. Not really. Don't get me wrong - I have plenty of sympathy for anxiety and mental health struggles. But I got this book hoping to read about food, and instead it was about how much she hated food. I feel bad dogging a book by someone who struggles with self esteem, but this book was not at all what I was looking for. I saw food and kitchen and thought it would be a cool book for a new employee to kitchens. Nope. This was my least favorite book this month. 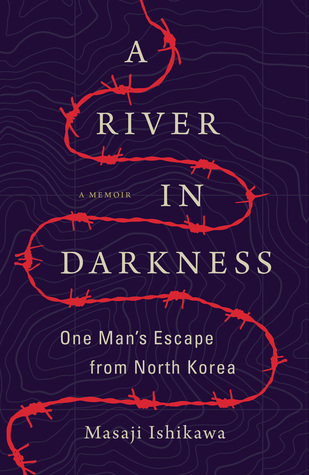 From Amazon: "The harrowing true story of one man’s life in—and subsequent escape from—North Korea, one of the world’s most brutal totalitarian regimes. In this memoir translated from the original Japanese, Ishikawa candidly recounts his tumultuous upbringing and the brutal thirty-six years he spent living under a crushing totalitarian regime, as well as the challenges he faced repatriating to Japan after barely escaping North Korea with his life. A River in Darkness is not only a shocking portrait of life inside the country but a testament to the dignity—and indomitable nature—of the human spirit." My two cents: I'm honestly really glad I read this book. There was a huge jump from the sixth spot on this list to the fifth. But it was ultimately depressing. Masaji made it out of North Korea, but never really was able to establish much of a life again. And thinking about the fact that this is current - that people are still living this tragedy - is so, so sad. From Amazon: "A powerful and haunting novel of a woman’s broken past and the painful choices she must make to keep her family and her home. As threats and suspicions arise in the angry community, Anna must confront her secrets in the face of devastating turmoil and reconcile her anguished relationship with her daughter. Will she discover the strength to fight for those she loves most, even if it means losing all she’s ever known?" My two cents: The more I think about it, I could easily switch # 5 and #4 on my list... but anyway, this was written really well. It was easy to imagine Anna's choices in each situation, since her emotions were so compellingly presented. The first chapter begins with finding her dead husband, and I went from wondering what happened to hoping I was guessing right in no time at all. Anna definitely inspired compassion for her life and circumstances. From Amazon: "In the shadows of World War II, trust becomes the greatest risk of all for two strangers. That is, until she discovers an unconscious airman lying in the snow wearing a Luftwaffe uniform, his parachute flapping in the wind. 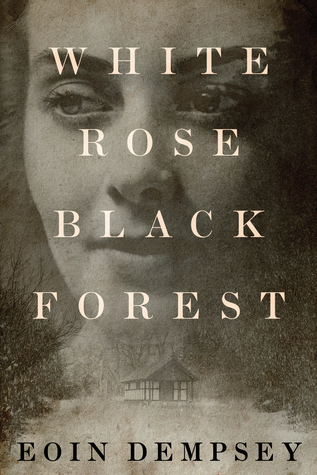 Unwilling to let him die, Franka takes him to her family’s isolated cabin despite her hatred for the regime he represents. But when it turns out that he is not who he seems, Franka begins a race against time to unravel the mystery of the airman’s true identity. Their tenuous bond becomes as inseparable as it is dangerous. Hunted by the Gestapo, can they trust each other enough to join forces on a mission that could change the face of the war and their own lives forever?" My two cents: I admittedly have enjoyed all of the WWII novels I can recall. I enjoyed Franka's struggles and her character, as she suffered so greatly, but still retained her caring nature. Her history was so interesting, and I always wanted more stories of her earlier life, both before and in the early times of the war. While the ending of the book seemed a little too quick and thrown together, it was exactly how I wanted it to end, so I can't complain much. And Blix was also right about some things Marnie must learn the hard way: love is hard to recognize, and the ones who push love away often are the ones who need it most." 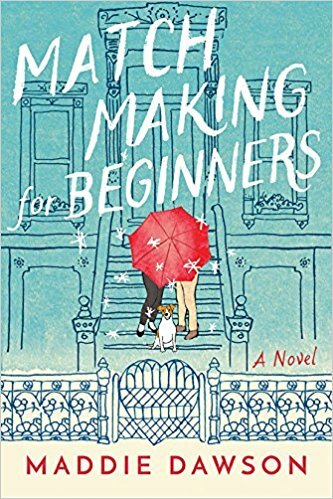 My two cents: This book was truly delightful, as the Amazon review says. I love, love, loved Marnie and Blix, and all of the interesting characters they were with in their Brooklyn life. I also enjoy what my husband refers to as 'airy, fairy, sticks & berries.' Reading about Marie's and Blix's compulsions to find love everywhere, and for everyone made my afternoon reading time so blissful. I would love another book continuing Marnie's now-charmed life. P.S. - this was also reviewed recently by Liz on BooksIThinkYouShouldRead. 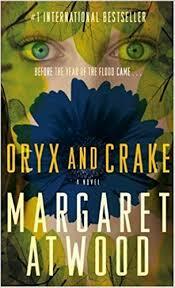 From Amazon: "Oryx and Crake is at once an unforgettable love story and a compelling vision of the future. Snowman, known as Jimmy before mankind was overwhelmed by a plague, is struggling to survive in a world where he may be the last human, and mourning the loss of his best friend, Crake, and the beautiful and elusive Oryx whom they both loved. 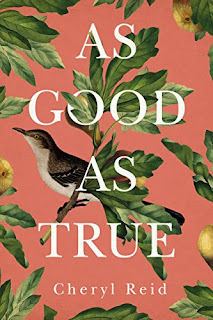 In search of answers, Snowman embarks on a journey–with the help of the green-eyed Children of Crake–through the lush wilderness that was so recently a great city, until powerful corporations took mankind on an uncontrolled genetic engineering ride. Margaret Atwood projects us into a near future that is both all too familiar and beyond our imagining." My two cents: Wow, wow, wow. Now, I'm already a Margaret Atwood fan from the Handmaid's Tale, but this stuff coming out of her head is nuts! She calls it not dystopian, but 'speculative fiction.' If dystopian fiction is your style, you absolutely owe it to yourself to read this whole trilogy (on sale right now!). I've already finished the second book in August, and I'm almost done with the third. All three sort of re-tell parts of the story from different viewpoints, while also progressing through the time and struggles. I've already finished nearly two books in August - let's see if I can beat July's record, eh? I loved Matchmaking for Beginners! Thanks for all the shoutouts too :). Sounds like you read some good ones this month. 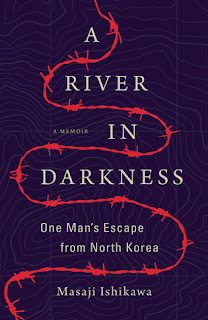 With all that is going on with the US and North Korea squaring off against one another lately "A River In Darkness" seems like a really interesting read. I'm going to see if they have it at the library.